Viva Las Vegas! Viva Las Vegas! It has to be the greatest song about Las Vegas ever, hasn’t it? What a classic. And it was this song that was pumping through our veins as we walked up the Graceland Wedding Chapel on Las Vegas Boulevard in the middle of the night. 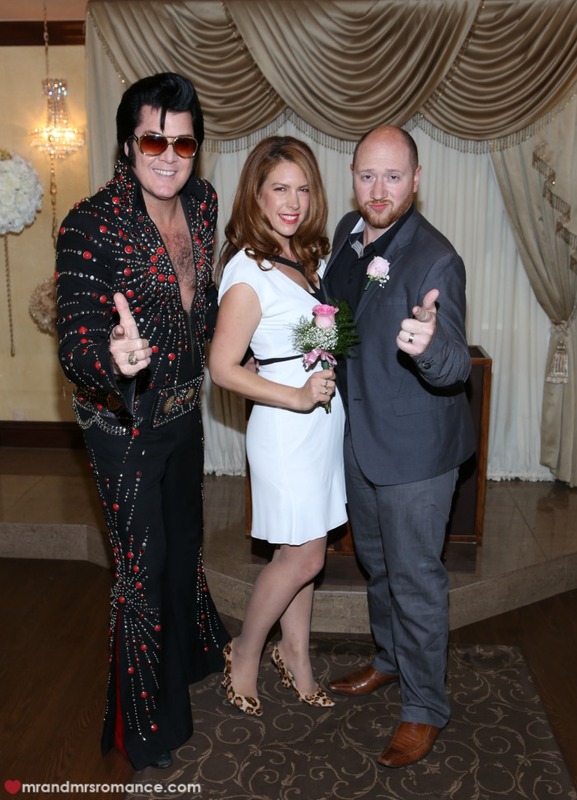 We’d already been married just short of 5 years, but we were excited about the prospect of renewing our vows… and of meeting Elvis of course! 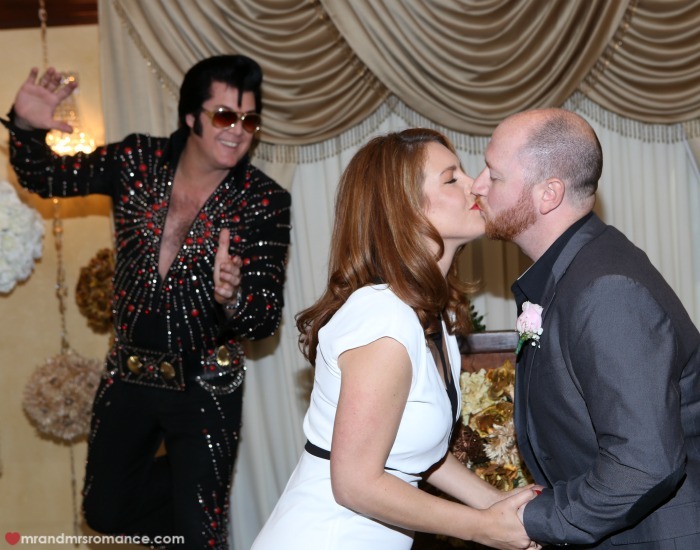 The Graceland Wedding Chapel is an unassuming place in Vegas terms. Its exterior is twee with whitewash walls, a little bridge and a pergola for photos. There’s a little courtyard where you can have photos too. But it’s inside where the magic happens. In spite of the reception feeling more like a doctor’s surgery than a chapel, the staff were attentive yet relaxed. Everyone was there for a fun time and that’s what this is all about. While we were waiting for Elvis – of course you wait for Elvis – one of the guys at reception even took us outside for a couple of photos. Back inside the chapel we were greeted by the man himself. Elvis was looking trim and tall in his superb rhinestoned black onesy. And the man can sing! He walked Mrs Romance down the aisle to me crooning out Can’t Help Falling In Love as he went. The ceremony was a great mix of hilarious, romantic, surreal and sentimental, and was worth every minute and every penny spent. If you ever visit Vegas, make sure you do this. I must admit I wasn’t totally sold on the idea – even up to the point that I pinned the rose through my buttonhole, but it’s actually awesome. 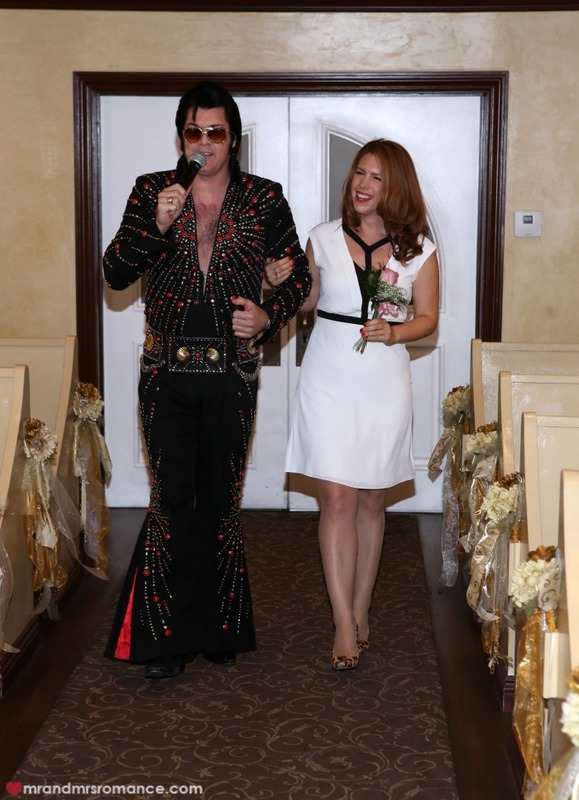 – After some careful research Mrs Romance found this one to be one of the best value Elvis chapels in town. There are lots of options you can add on to your service. You can do the drive-through wedding where you hire a Cadillac. 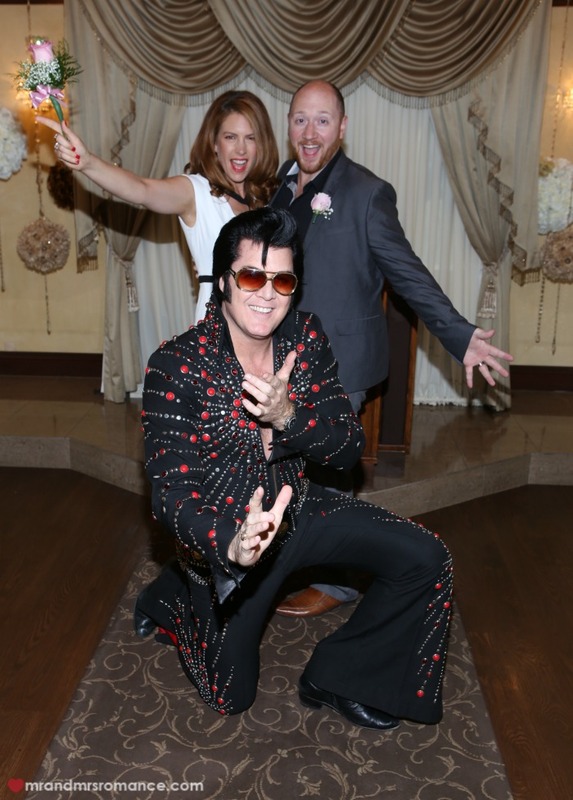 You can even have 2 Elvises have an ‘Elvis off’ on your wedding. We stuck to just the one. 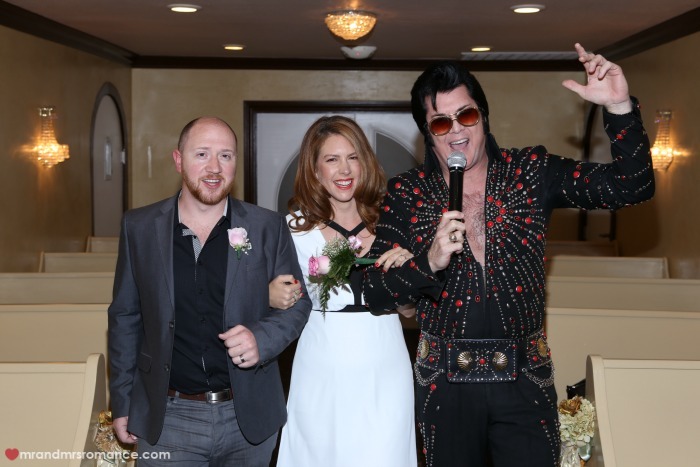 – You’ll need to pay Elvis – as the celebrant – in cash after the ceremony. It acts as a kind of tip but it’s more like his fee. You also pay the photographer his tip here. Just put all the money in the envelope the photographer gives you at the end. 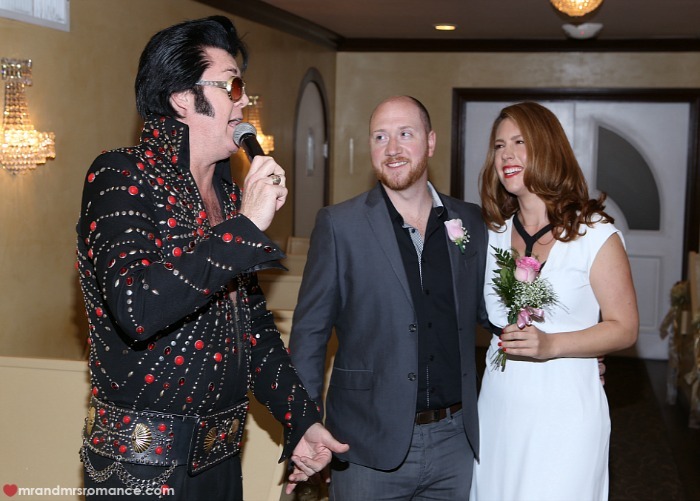 – The Graceland Wedding Chapel has been going for over 50 years now – an incredible feat in Vegas terms. – The chapel is not on the main Vegas Strip any more. The Strip was moved some time ago, so this is in the old Vegas part of town. – Because of its location – the chapel’s a couple of doors down from where the show Pawn Stars is filmed – it’s a little dodgy at night. We felt safe enough but if you’re there with three or four mates, that’s even better. – Some very famous people have got married or visited here over the years. John Bon Jovi married his high school sweetheart Dorothea here. Billy Ray Cyrus, Jay Leno, Mariah Carey – they’ve all been guests here too. – We hung around outside a bit longer taking some more photos just for a bit of fun. They’re fine with this providing it’s not too busy and you’re not in the way. – We walked on to old Vegas, which probably isn’t advisable (it is a bit dodgy though we did feel safe enough). 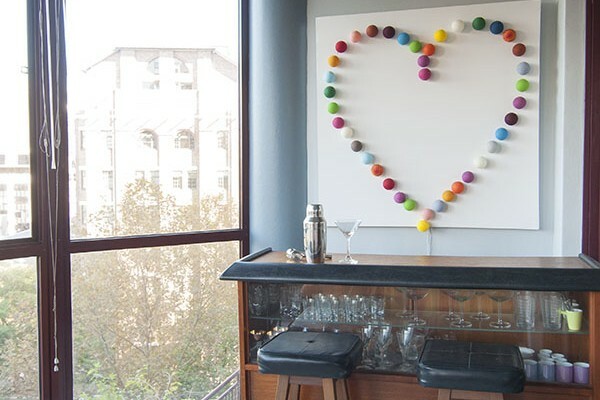 If you ask reception, I’m sure they’ll call a cab for you. – Enjoy your time here. It’s brilliant and made for people who don’t want to take things quite as seriously as those who want a big white wedding. Have you renewed your wedding vows or thought about it? 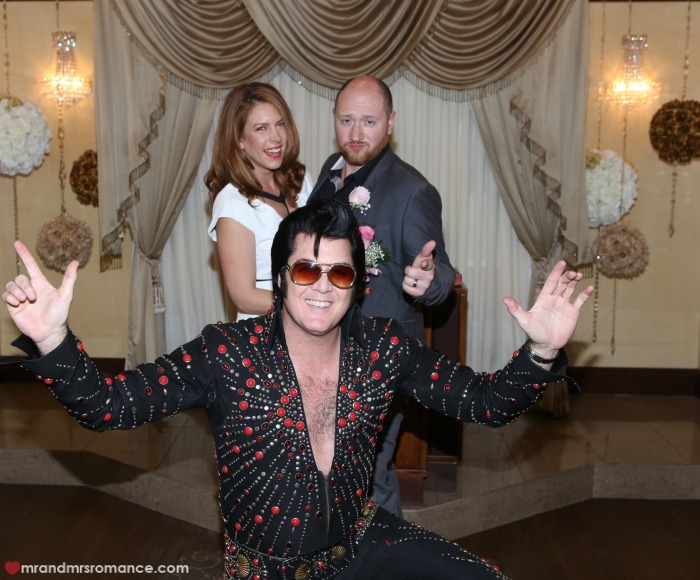 Would you ever elope and have an Elvis wedding? Tell us in the comments! 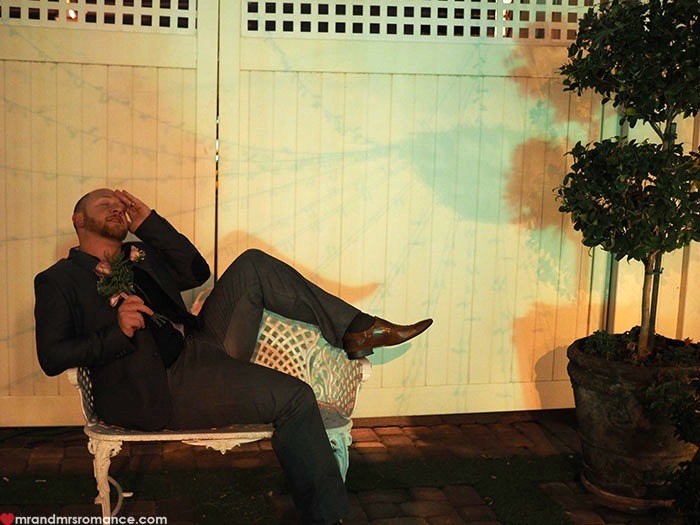 Images by us using O-MD EM1 Olympus camera or purchased from the Graceland Wedding Chapel. What a beautiful wedding! I think you guys should renew your vows every year with a new themed wedding. Next year, a beach wedding like Pam Anderson and Kid Rock. Steph, you’re a genius! That’s got to happen! 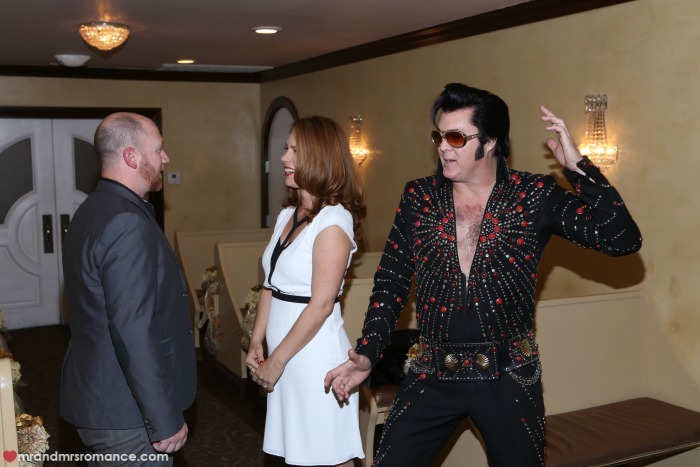 Funnily enough, on the Graceland Chapel website there is a pic of Pammy a long time ago with that time’s Elvis. Don’t think she got married there but it looks like she was there as a guest at some point! I love this so much! It looks so fun! 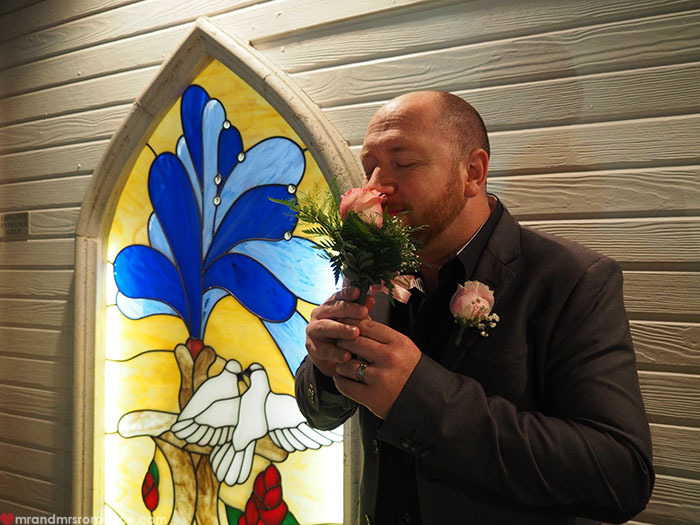 I’d love to renew our vows, I really wanted to do it in Disneyland with Mickey and Minnie as our witness, but I think the hubster would prefer something a little more rock n roll! We don’t call you guys Mr and Mrs Romance for nothing! It was awesome, Sammie! A LOT of fun. 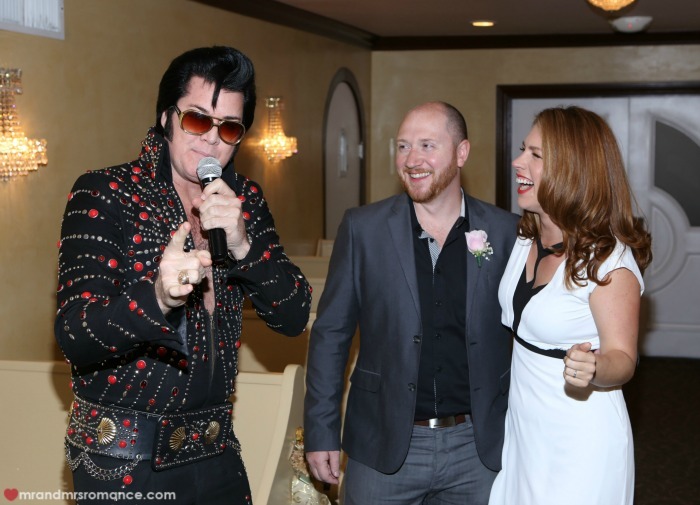 The Elvis was so funny too. He knew how cheesy it all was and that no one was really taking it seriously. He was still very professional, but his sense of humour really made the biggest difference. Let us know if you ever do decide to do it. Would love to be part of the party! Haha! Now that looks like a LOT of fun! I can’t believe you were a little skeptical about it! 😛 Seems that by the end you totally got into it though! Ha ha! I don’t know what came over me, Lorraine. I was so caught up in the moment! 😉 You guys should definitely do it. Mr NQN would love it, I’m sure! Looks like you guys had a great time 🙂 The last shot is great! Ha ha! Yes, it was so much fun, Sarah. 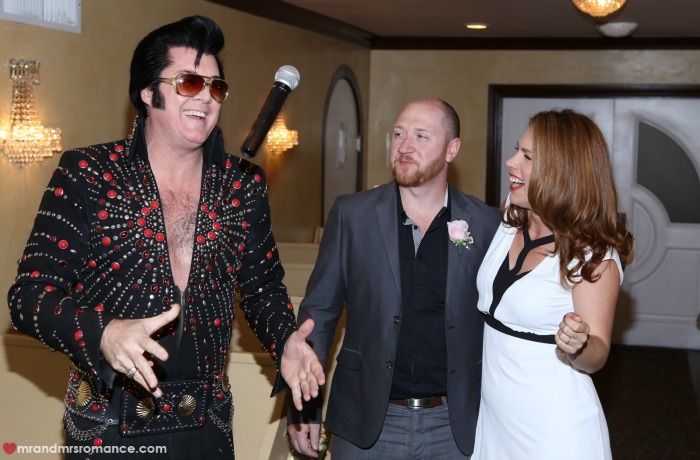 Elvis was brilliant – so entertaining yet managed to keep it sincere at the same time. Very impressed. We’d definitely recommend doing this if you’re ever in Vegas. LOL. That looks the like you had a blast! I would love to get married there. Dam, I am going to stick the Hangover DVD on tonight haha. Ha ha! Yeah, it was brilliant, Darren. 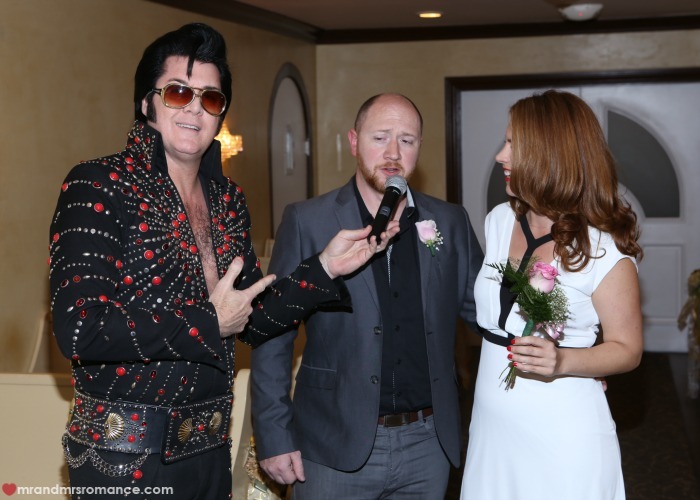 Looks like you and the Vegas Elvis would have plenty to talk about too! Enjoy the movie. It’s so good, isn’t it? Yea, I love that film, makes me laugh time and time again. Wish I was a bit more wild like them though lol. ha ha! I know what you mean, Darren! Mind you, I don’t think I’d be able to cope with the consequences these days!